Yah, it’s finally Friday!!! I can’t wait for the weekend, but as usual it’s suppose to be crappy weather! Rain, cold, windy and just plain ugly. This week the fog has been so thick that driving to work was horrible! You drive, following the car in front of you closely because all you see are his tail lights, hoping he knows where he is going. It’s a stagnant fog that is thick as pea soup! I just hate the fog. I live near the water and every year at this time the fog comes in and lingers for hours. I’m going to say it again, don’t like fog and either does my hair!! You know what I’m talking about. You step outside and bam, your hair turns into a frizz ball. Not a pretty frizz ball, but one that is uncontrollable Then you get inside and those pieces of frizz start to stick up and get staticy looking. Well that’s my hair! Oh how I loathe the fog!! Ok, I’m off my fog tantrum, lets get to something good!! I thought today I will bring you a recipe that peaked my curiosity. Hmmm, Can this really be done? I had to find out!! Yup it can be done! I made for the first time a two ingredient pancake! 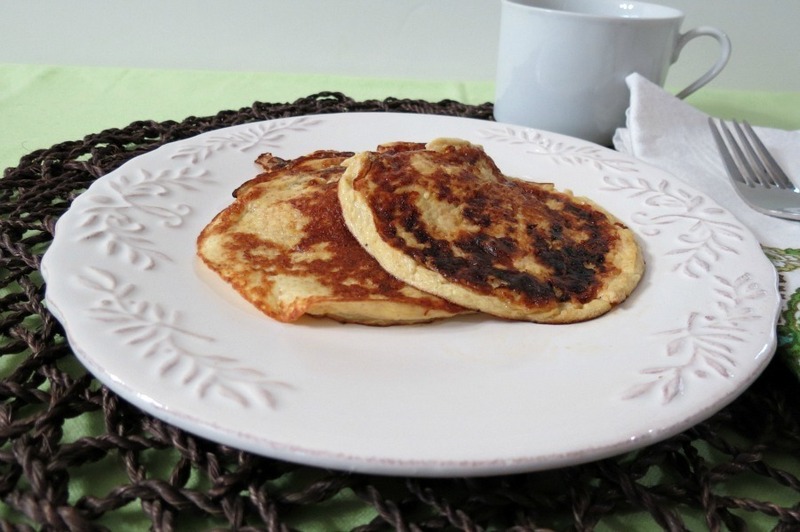 This recipe is simply two eggs and one banana! 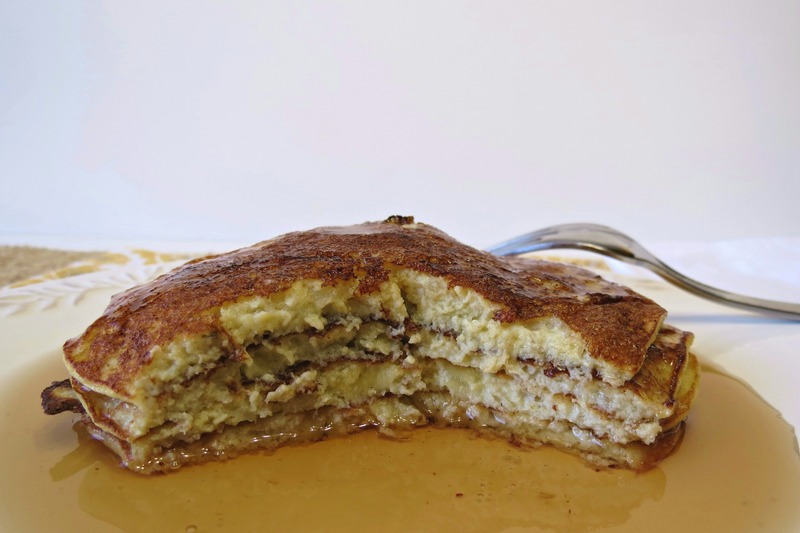 Pop in a blender to make it smooth, add a 1/4 cup of batter to a griddle and the pancake was born! I can’t give credit to whomever created this recipe, it’s everywhere in the blog world and I just had to try it. I can’t get over that it actually worked! But the questions is, does it taste good? The answer is yes, if you like banana’s! It tastes just like a banana! It’s the best description I can give! I actually made these twice. I wanted to give it one more shot to make sure I did it correctly so I could share it with you. 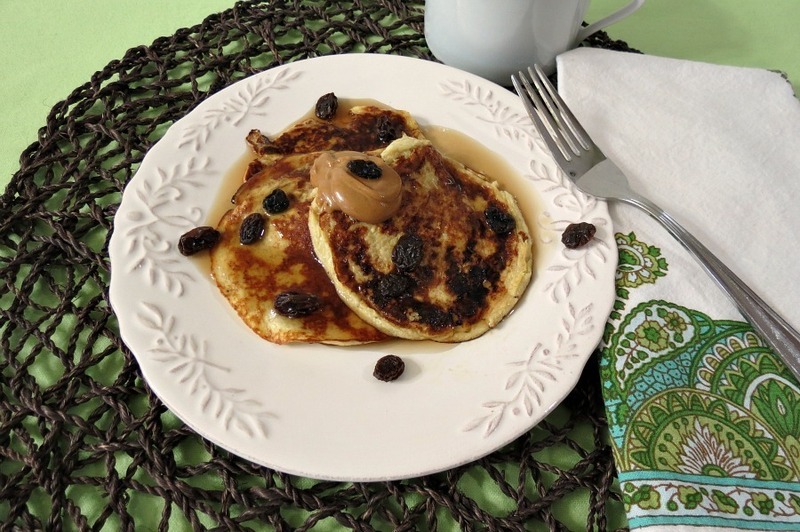 One thing about these pancakes, compared to others is that they are flat and very delicate. You have to cook them a tad longer than regular pancakes. They tend to tear easier. It doesn’t make for good plating for a photo, but it does make for good eats! I asked my husband if he wanted to try one and he said sure. He ended up eating them all and I was left without! I ended up with a big bowl of yogurt! I asked him if he liked them, and he said they were really good and the peanut butter hater actually liked them with the peanut butter on top!! Crazy Guy! How does he not like peanut butter? How did I marry a peanut butter hater? I guess opposites do attract!! When I made the first batch, I ended up with 4 pancakes, and on the second batch I got 3. I guess it depends on the size of the banana. I also tried the recipe with regular eggs and I also tried it with egg substitute and they both worked the same. 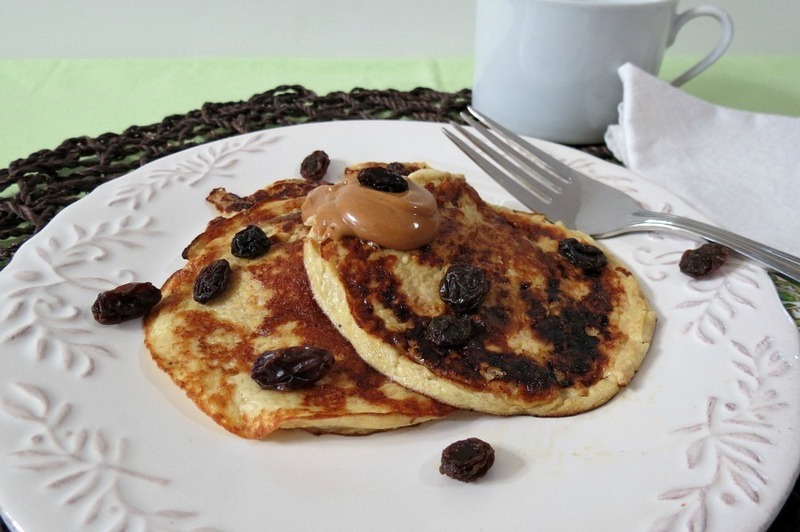 I love to have a nice gluten-free pancake that is basically the calories of a banana and eggs. So simple!! I can see why people like these!! Here’s a picture of the first batch I made a couple of weeks ago. You can see how thin 4 pancakes are. 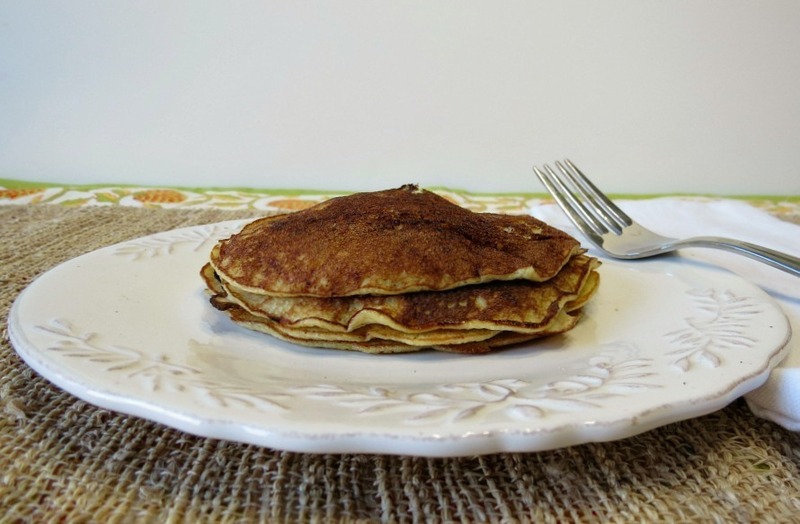 A healthy, gluten free two ingredient pancake made with bananas and eggs. Grease a non-stick skillet with cooking spray or butter and set the heat to medium. Add the banana and egg in a blender and process until smooth. Add ¼ cup batter to a heated skillet and cook the pancake for about 2 - 3 minutes, until the sides hold together, flip and cook other side for about 2 minutes. So this weekend if you have a banana, give it a try!! It’s a pretty cool idea and makes a good use for a ripe banana! Now instead of waiting for my banana’s to ripen to make banana bread, I’ll be making banana pancakes!! Very creative. I’m going to try this. What was the texture like? 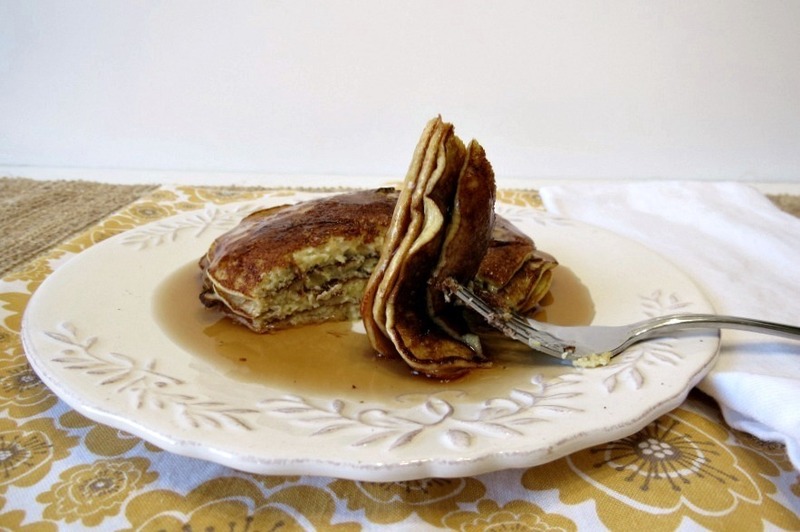 HI, the pancakes are soft, kind of like eating a really moist and soft banana bread. If u make them, let me know what you think. I will definitely let you know! Thank you for posting so many wonderful recipes I was looking for some healthy options and you have posted some wonderful and inventive recipes. You’re awesome! That’s so cool!!! I’ve been curious about this for awhile. If you don’t like bananas, can mashed pumpkin be substituted? I was thinking the same thing! I bet pumpkin would work great! I was planning on try that next!!! My guess, is what I’m going to do is use 1 cup canned pumpkin and see how it turns out!